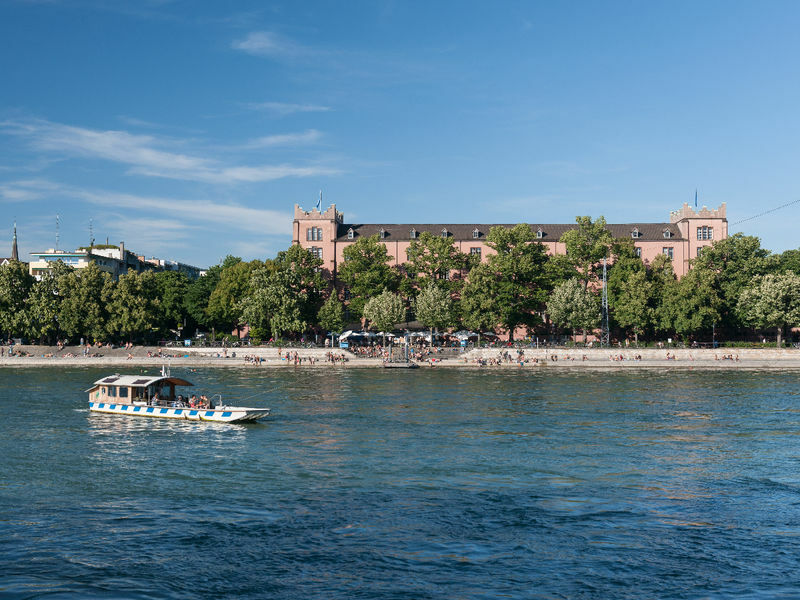 Take a trip across the Rhine in style and comfort on one of the four ferries that connect Kleinbasel with Grossbasel. 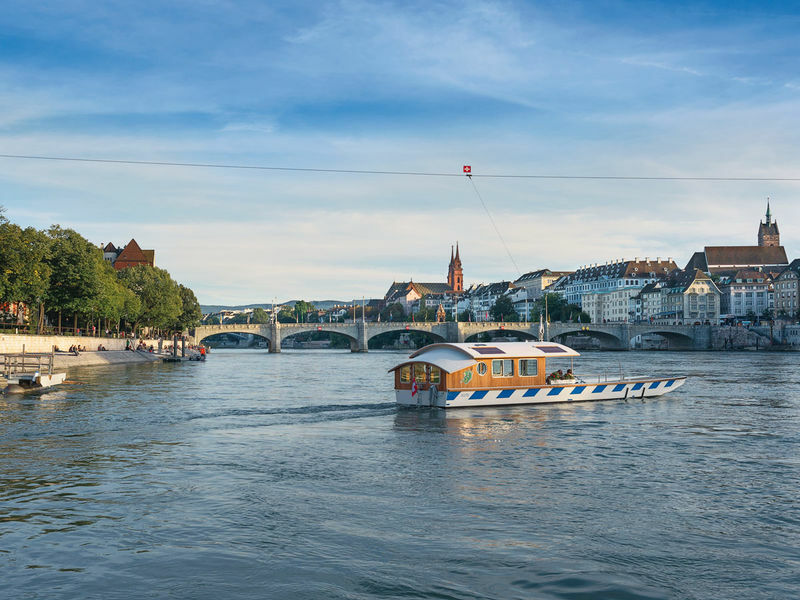 Between Basel's five bridges across the Rhine you will find the city's four ferries, “Wilde Maa”, “Leu”, “Vogel Gryff” und “Ueli”, with which you can cross the Rhine without motorised assistance, using only the natural power of the river's current. It is not only tourists that are thrilled by this mode of transport, the inhabitants of the city also regularly use this means of transport around the city. Saturday, Sunday and public holidays: 9 a.m. – 7 p.m.
November – March: 11 a.m. – 5 p.m.
Only at weekends. During the week only in good weather. 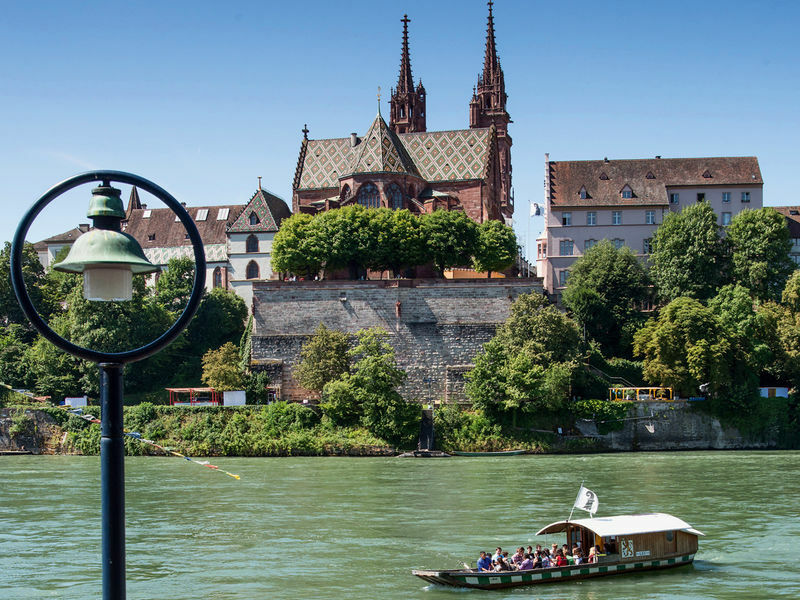 From the beginning of summer time 9 a.m. – 8 p.m.
October 9 a.m. – 7 p.m.
During the Basel Autumn Fair 11 a.m. – 10 p.m.
From the end of the Basel Autumn Fair until the beginning of March 11 a.m. – 5 p.m.
March 11 a.m. – 6 p.m.
April – October: 9 a.m. – 7 p.m.
Basel Fasnacht, Morgenstraich: 2 a.m. – 4 a.m.